EK-XTOP Revo D5 is a high performance aftermarket pump volute / body with vibration-reducing mounting clamp for Xylem D5 series water pumps. This unit offers increased hydraulic performance (up to 15 %) compared to original factory top. 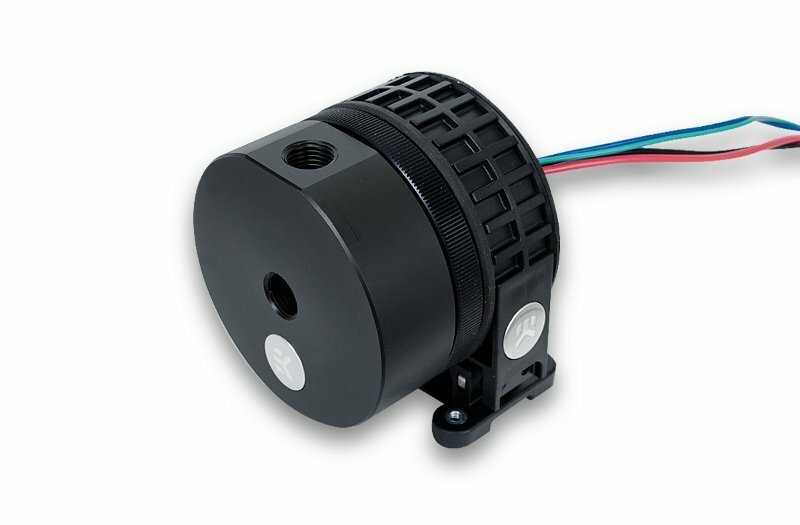 The new D5 Revo pump volute / body system features a fully rounded design thus offering greater usability, allowing installation at any angle within 360° of rotation. Special rubber shock absorber is used to de-couple the the main pump body from the mounting clip for silent operation, free of vibration induced noise. Additionaly, horizontal and vertical positioning are supported for easier tube routing possibilities. 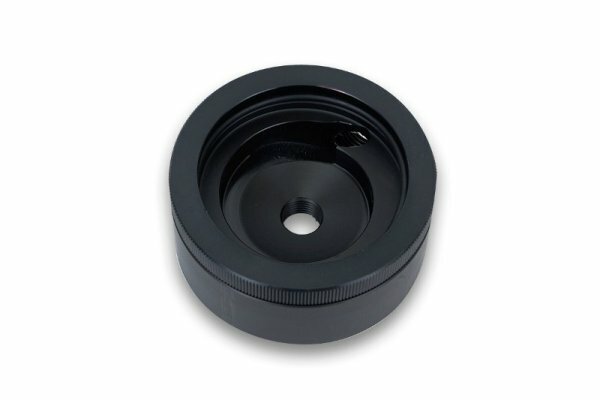 This pump top features a single inlet- (suction) and outlet port (pressure) for installation of two standard G1/4 threaded fittings / barbs. EK recommends EK-ACF series compression fittings. 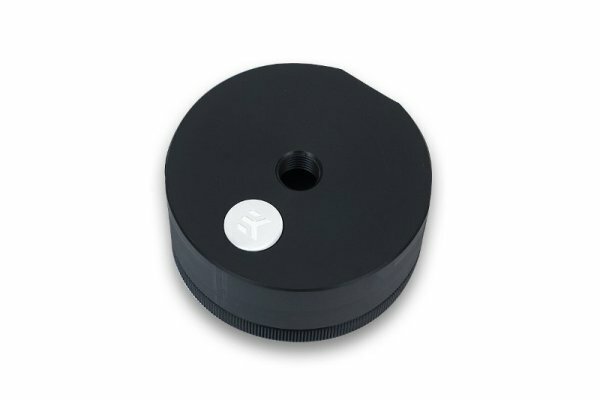 Top is made of quality POM Acetal material, while the tightening nut is made from CNC machined aluminum. Mounting clamp is made from injection moulded ABS. Mounting mechanism and easy-to-follow installation guide are enclosed. 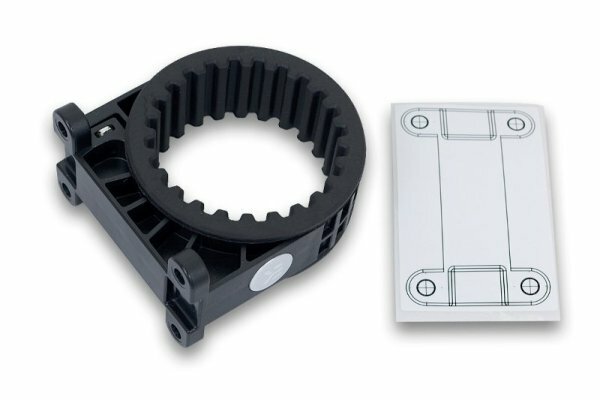 EK-XTOP Revo D5 pump can also be upgraded with either EK-UNI Pump Bracket (120mm FAN) – Regular or Vertical which allow installation of the product in any position with 120mm type fan hole pattern as shown on the picture below: Enclosed: – EK-XTOP Revo D5 – Acetal with locking ring – Mounting clip with rubber insert – Self-adhesive mounting hole pattern sticker – Mounting mechanism (incl. required Allen keys) – Installation manual Made in Slovenia – EU!